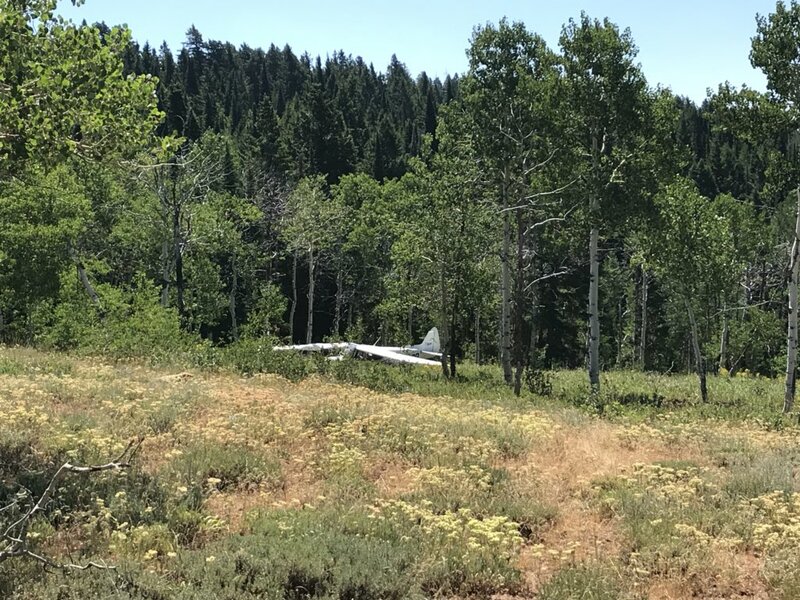 On July 19, 2018, about 0950 mountain daylight time, a Cub Crafters Inc. CC19-180 airplane, N70DD, impacted terrain during a forced landing following a loss of engine power near Hyrum, Utah. The airline transport pilot sustained serious injuries, and the airplane sustained substantial damage to both wings and fuselage. The airplane was registered to a private individual and operated by the pilot under the provisions of Title 14 Code of Federal Regulations Part 91 as a personal fight. Visual meteorological conditions prevailed, and no flight plan was filed for the cross-country flight. The flight originated from Ogden Hinkley Airport (OGD), Ogden, Utah, about 0905, with an intended destination of Pinedale, Wyoming. 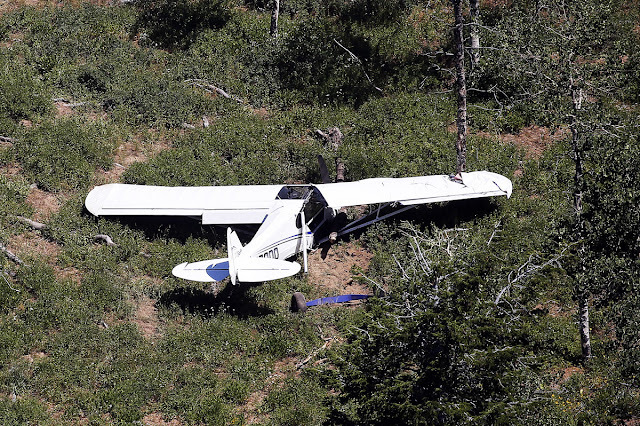 The owner of the airplane reported that he frequently hired the accident pilot to fly the airplane to various locations. 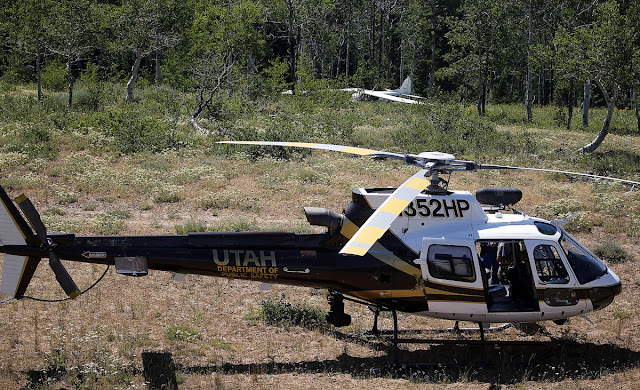 About two weeks prior to the accident, he had the pilot fly the airplane from Thermal, California to Ogden. The owner stated that the purpose of the accident flight was to relocate the airplane to his private ranch near Pinedale. 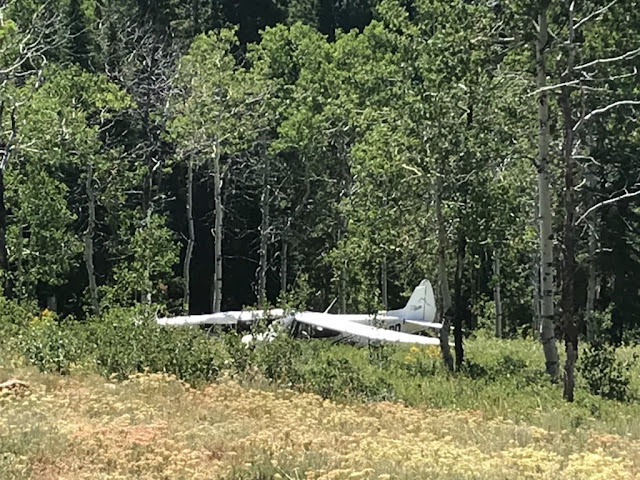 The pilot reported that on the morning of the accident, he met a friend at the airport for their intended flight of two airplanes to Pinedale. The pilot called CB Aviation, a local fixed base operator (FBO) for fuel, and while opening the hangar door to pull the accident airplane out, a cable snapped, and the hangar door stopped in an intermediate position. 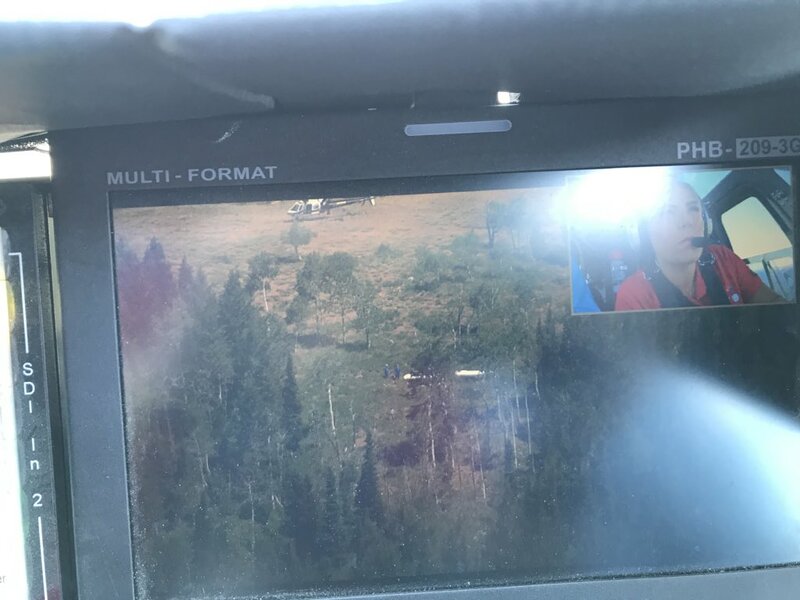 The pilot said he was able to get the airplane out, and when the fuel truck arrived, the driver queried him about how much fuel he would need. 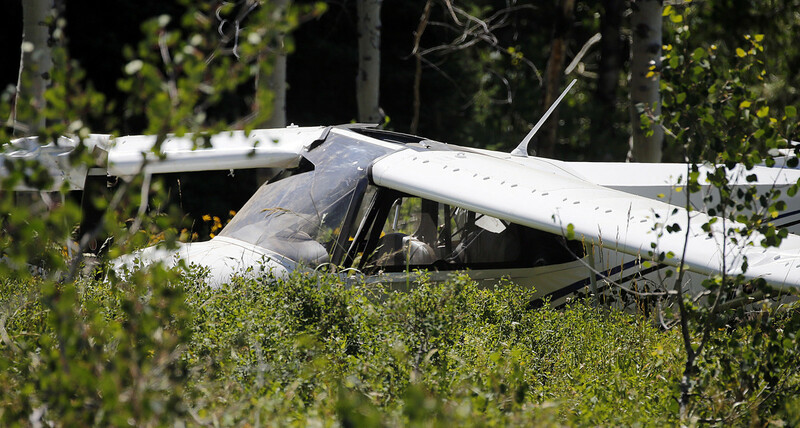 The pilot stated that he checked the fuel site quantity gauge and "realized it was full." He added that he did not visually inspect the fuel tanks nor did he use a dipstick. 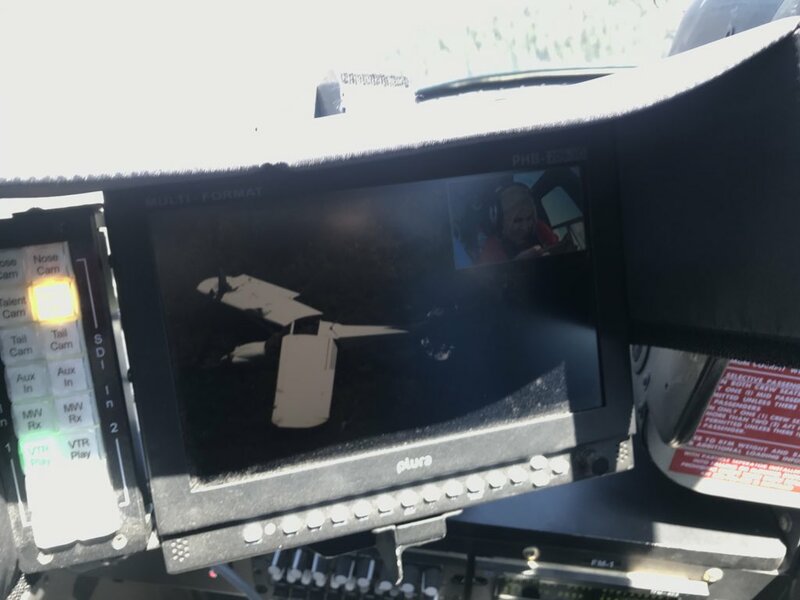 The fuel truck driver proceeded to top off the other airplane with fuel, and the pilot further acknowledged that he did not need fuel for the accident airplane. The pilot further stated that he began to focus on the hangar door, until he had received a phone call from work. After he had finished his telephone conversation, he conducted his preflight inspection of the accident airplane and attempted to close the hangar door. When the pilot attempted to start the engine on the accident airplane, he observed that the battery was dead. After completing a quick charge of the battery and securing the aft battery compartment, he started the engine, and then taxied the airplane for departure. After he completed the before takeoff checklist, the pilot initiated a takeoff on runway 3, and established visual contact with his friend, who had departed previously. The pilot stated that he was in trail of his friend and maintained visual site of him while communicating on a predetermined radio frequency. 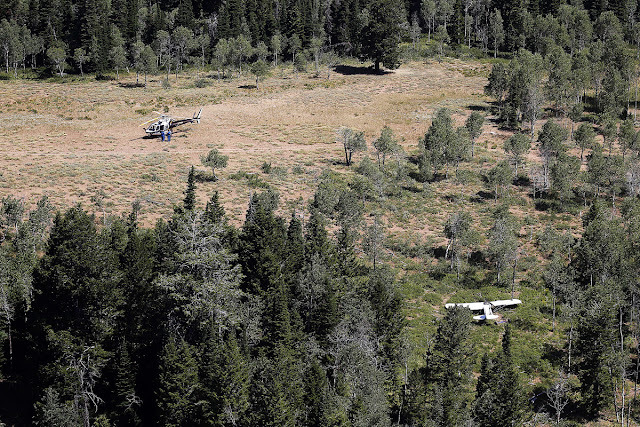 About 45 minutes later, during cruise flight over mountainous terrain, the engine began to lose power. 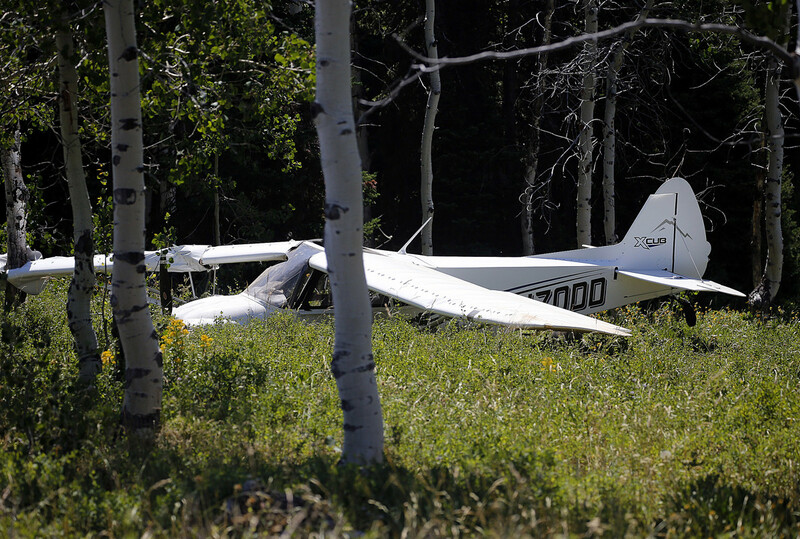 The pilot radioed to his friend that he had lost engine power. As the pilot turned the electric fuel pump on, he noticed a slight increase in power, however, the engine lost all power shortly afterward. 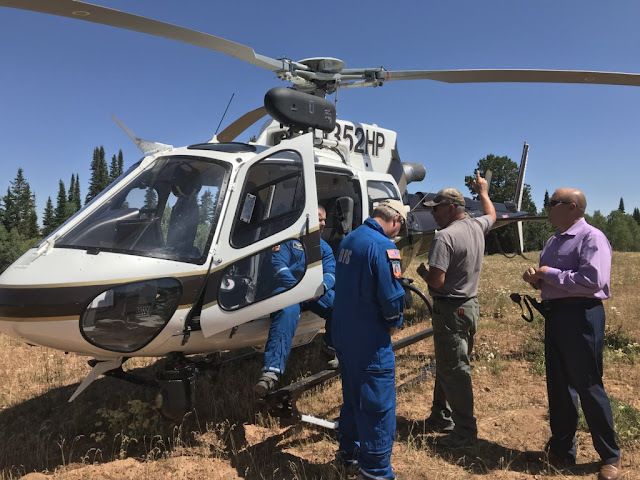 The pilot initiated an off-airport landing to a nearby opening, however, when he realized that he was unable to make it, he maneuvered toward another area suitable for landing. 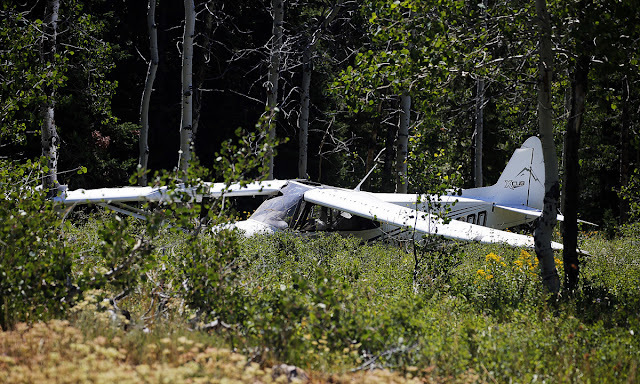 Subsequently, the airplane impacted trees and terrain before it came to rest upright. Local law enforcement reported that the airplane had sustained damage to the right wing and fuselage. They did not observe fuel within either fuel tank at the accident site. 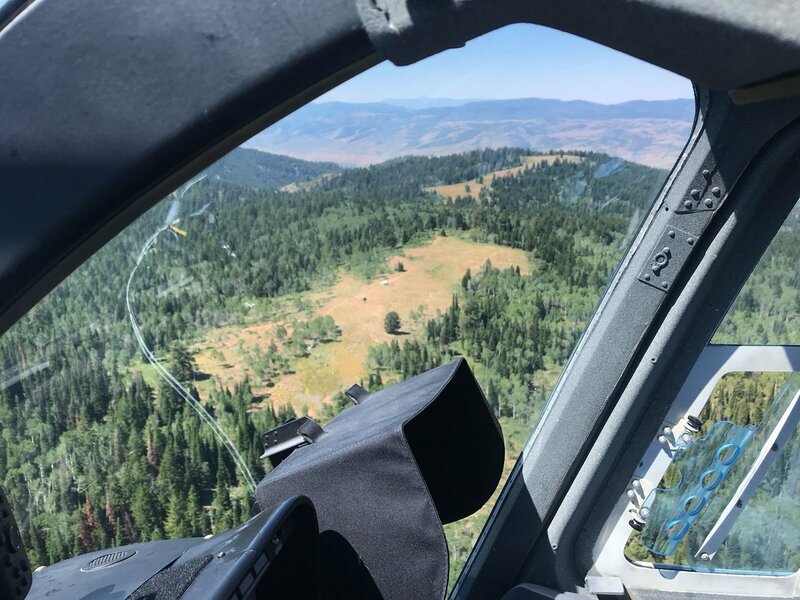 Recovery company personnel reported that no fuel was recovered from the airframe wing tanks, nor was any fuel observed in the engine inlet fuel line during disassembly and subsequent transport of the airplane. The wreckage of the airplane was recovered to a secure location for further examination. 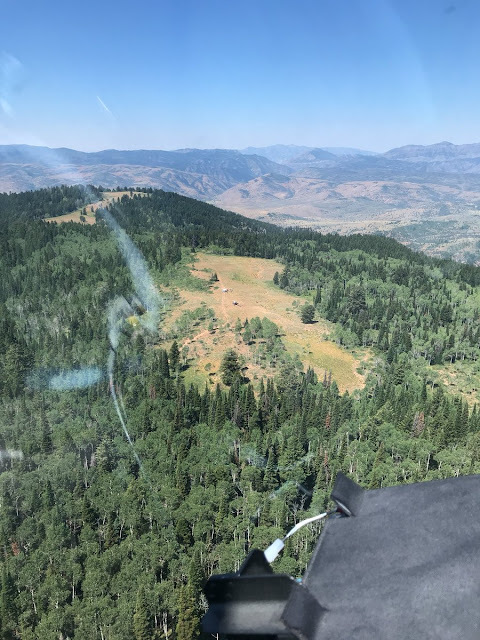 A representative from CB Aviation, the pilot's primary fuel source at OGD, reported that they had not refueled the accident airplane since November 2017. Additionally, no records of refueling the accident airplane were located at the remaining FBO's located at OGD. Examination of the recovered wreckage by the National Transportation Safety Board investigator-in-charge revealed that the engine was separated from the airframe to facilitate wreckage recovery. The top spark plugs were removed and exhibited signatures consistent with normal operation. The left and right magnetos were removed. When the magneto drive shafts were rotated, spark was produced on all four posts of each magneto. The engine driven fuel pump was removed and disassembled. The internal components of the fuel pump were unremarkable. The propeller was rotated by hand and thumb compression and suction was obtained on all four cylinders in proper firing order. Equal movement of all intake and exhaust rocker arms was observed. The induction system and exhaust system were impact damaged and free of restrictions. The carburetor was removed, inspected, and disassembled. The throttle and mixture arms moved stop to stop freely by hand. The fuel screen was free of debris. The internal floats were intact, no liquid was observed within the float bowl, and the needle valve and seat were unremarkable. The left and right wing fuel sight gauge tubes and ports were free of debris. Air was applied to both left and right wing fuel outlet fittings and air expelled from the engine inlet fuel line. No blockages were noted throughout any of the left and right wing fuel vents or fuel lines. In addition, the left and right fuel tanks were intact and not breached. No evidence of any preexisting mechanical anomalies were revealed that would have precluded normal operation.